In light of the news that Apple has hired top iPhone jailbreak hacker Nicholas Allegra (@Comex), some iPhone users are wondering whether the end is near for iPhone jailbreak. Allegra is not the first jailbreak developer to be hired by Apple. In June, Peter Hajas, the developer of the Cydia hack MobileNotifier, was hired by Apple. Shortly after that, GeoHot, the infamous iPhone unlocker, was hired by Facebook. Do These Hires Mark the Beginning of the End for Jailbreak? Given this pattern of top jailbreak developers being swallowed by the big Internet players, it is tempting to wonder whether the jailbreak movement is through. But I don’t believe that iPhone jailbreak is going anywhere anytime soon. While Apple has already adopted a lot of the features that iPhone users want, thereby (theoretically) decreasing the need for jailbreak, the jailbreak culture remains alive and well, and growing, with an estimated 10 percent of iPhone users reportedly jailbreaking their iPhones. Plans are even underway for the world’s first jailbreak convention, which will take place in London this September. Mark my words: innovation around the iPhone will never cease. There will always be new features that iPhone users want, and that Apple has yet to develop. 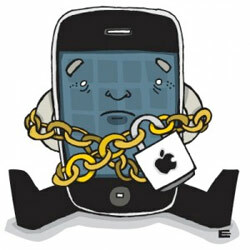 iPhone jailbreak is the most immediate way for developers to bring imaginative new ideas and applications to iPhone. As long as there is an iPhone, there will be iPhone jailbreak.